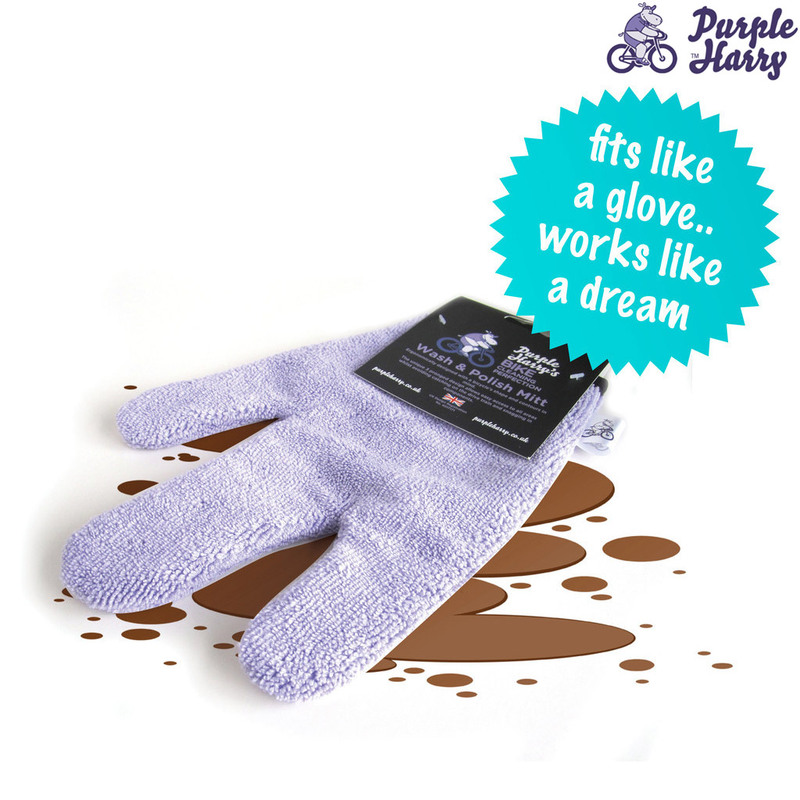 Purple Harry's Wash and Polish Mitt has been ergonomically designed with the bike's shape and contours in mind - allowing access to difficult areas whilst avoiding catching on the drive train and snagging in components - which so easily happens with an ordinary shaped cloth, spone or rag. Microfibre is a technical material suited to both cleaning and polishing due to its soft texture and exceptional absorbency. The microfibres also gently agitate dirt and grime precipitating swift removal. Purple Harry's Wash and Polish Mitt boasts an 80% Polyester and 20% Polyamide composition which is around 4 times more absorbent than cotton or polyester alone, and offers superior polishing qualities. Use with a little of Purple Harry's Bike Cleaner and Degreaser to assist in cleaning the more stubborn grime when washing your bike to use to apply Purple Harry's Bike Polish and Frame Protector to add a protective coat and enhance the frame's gloss finish to really shine! Washable at 40 degrees the Wash and Polish Mitt is extremely versatile and durable.